Learn why same day crowns may be the best solution for you. According the American Dental Association (ADA), a crown can help strengthen a tooth with a large filling when there isn’t enough tooth remaining to hold the filling. Crowns can also be used to attach bridges, protect a weak tooth from breaking or restore one that’s already broken. A crown is a good way to cover teeth that are discolored or badly shaped. It’s also used to cover a dental implant. What Are The Advantage of Same Day Crowns? One visit – Most crowns can be completed in one visit of about 2-2.5 hours. This means you only request one morning or afternoon from your employer = Happy Boss!! Happy boss = promotion = higher income = happy life. Same day dentistry helps us be happy in so many ways. Stronger crowns – The new Emax material is 2.5x stronger than other all-porcelain crowns. Stronger crowns mean less fracturing in the future and longer-lasting dental work. All-white crowns – These Emax crowns are all white and have no metal in them. Not only are Emax crowns strong, but beautiful as well. We customize the shade to match your existing teeth as much as possible. All while you are in the office. Why Should I Do A Crown At Your Office? 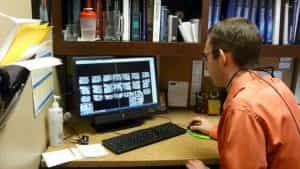 Customization – Using CAD CAM technology allows us to clone your tooth and have the final result feel almost identical to the tooth you have now. And any changes to the crown can be done as you wait. We at Aspen Springs Dental have invested in E4D CAD CAM technology to fabricate your crown in one visit. No more temporaries!! Have you ever had a crown done and the temporary fell off? You took off work again to go get it re-cemented. Then three days later it came off again!! So you went in again with the same result. Very frustrating for everyone involved: you, your employer, and even the dentist. So what can be done? Same-day crowns to the rescue. What are the advantages of same-day crowns? Dental technology has progressed a long way, especially in the last decade. We at Aspen Springs Dental want you to have the highest-quality dentistry available to help preserve your smile for a lifetime. If you are interested in seeing our same-day technology and how it can help your appointments be more convenient to your schedule, then please give us a call. We look forward to seeing you.